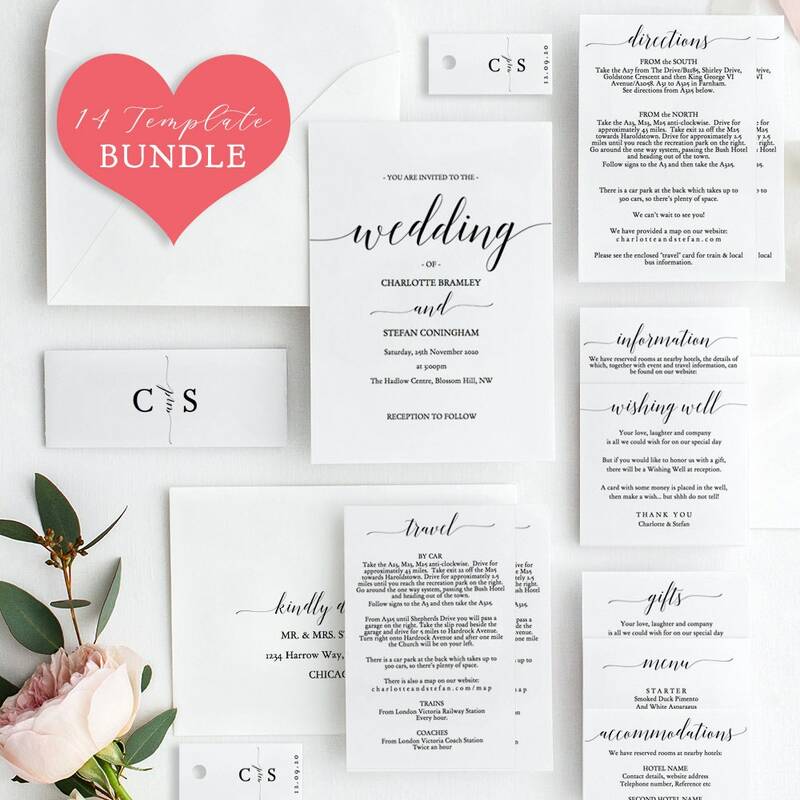 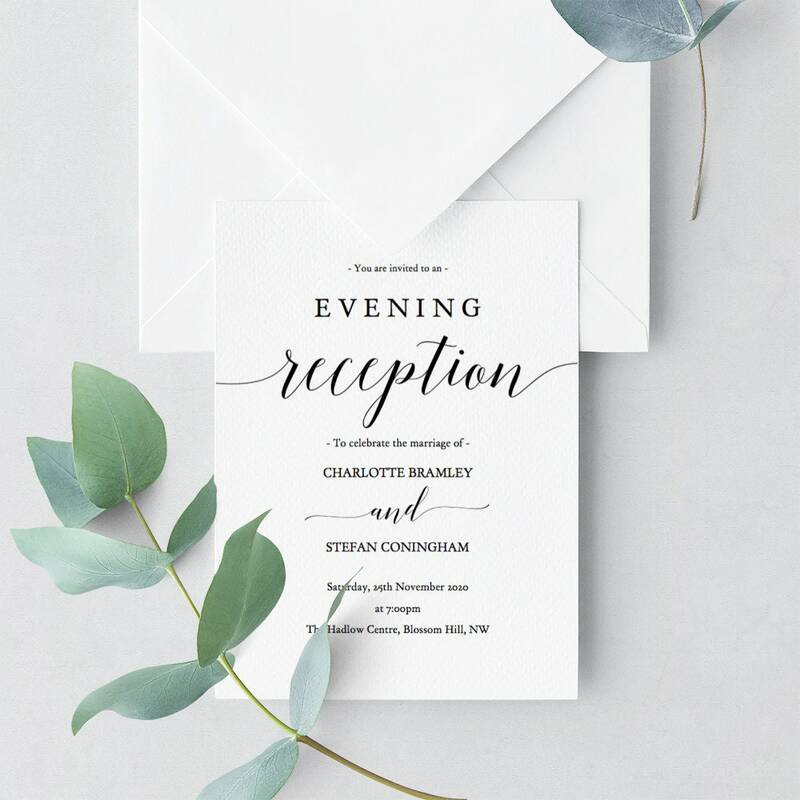 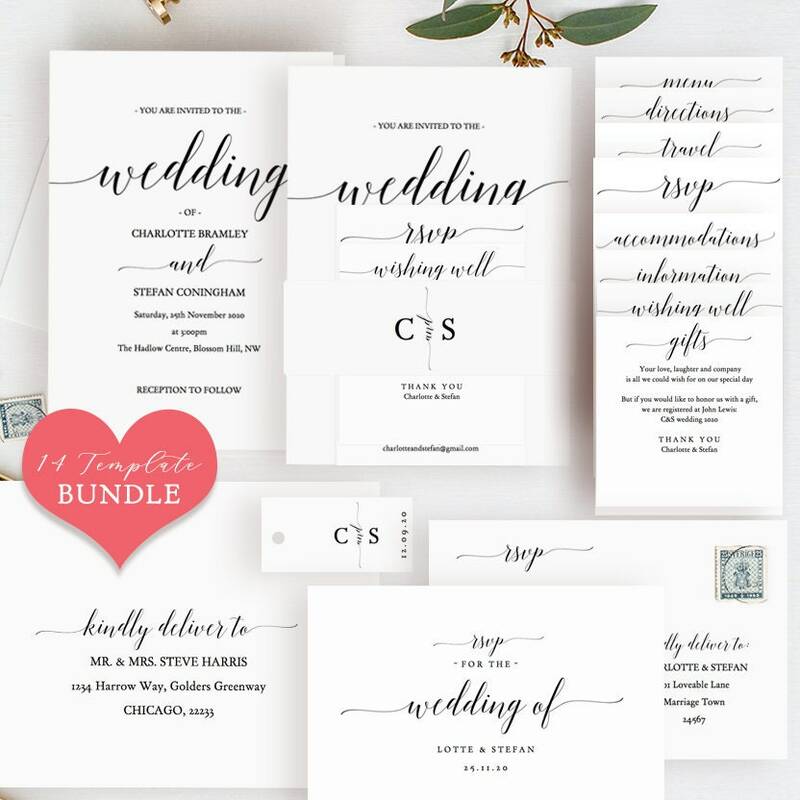 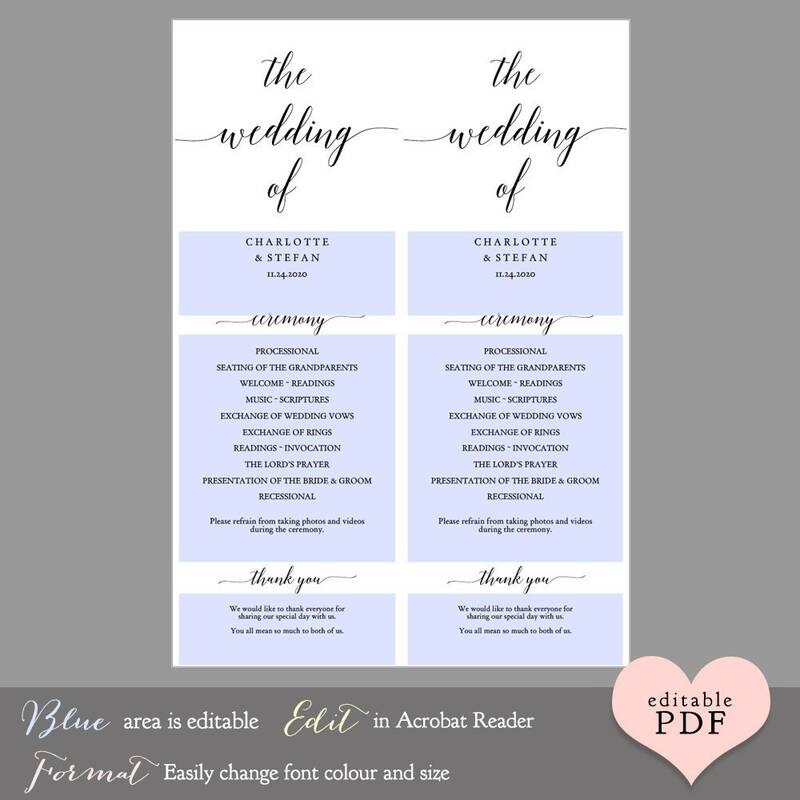 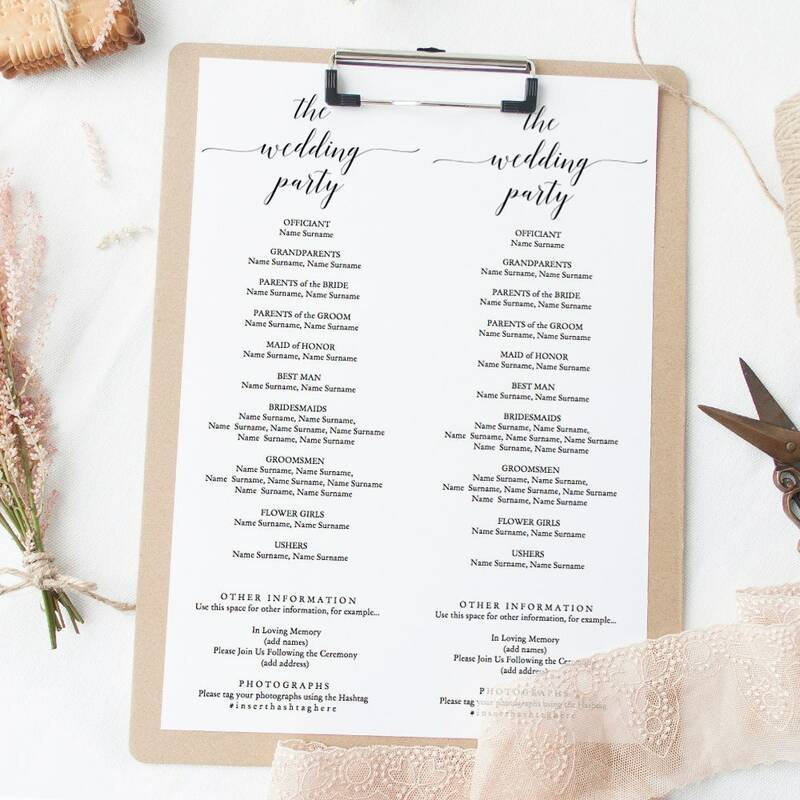 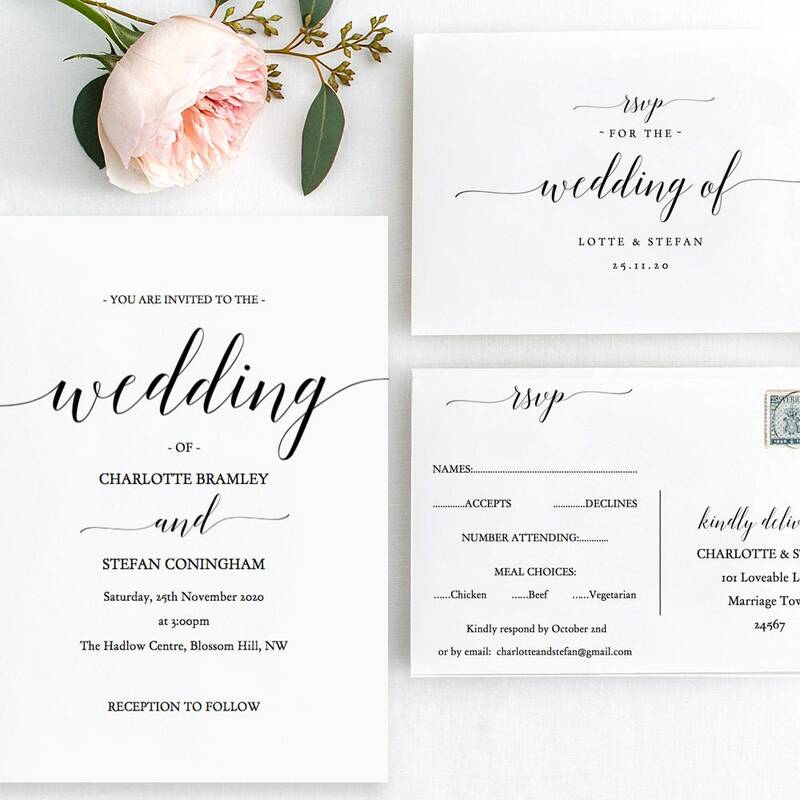 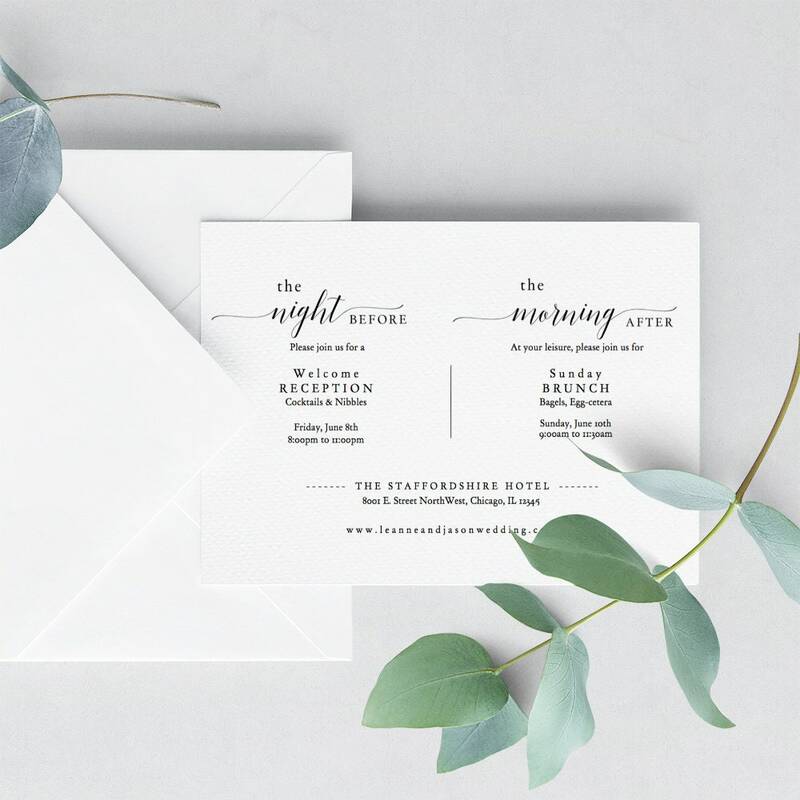 Instantly download and customise these long wedding programs. 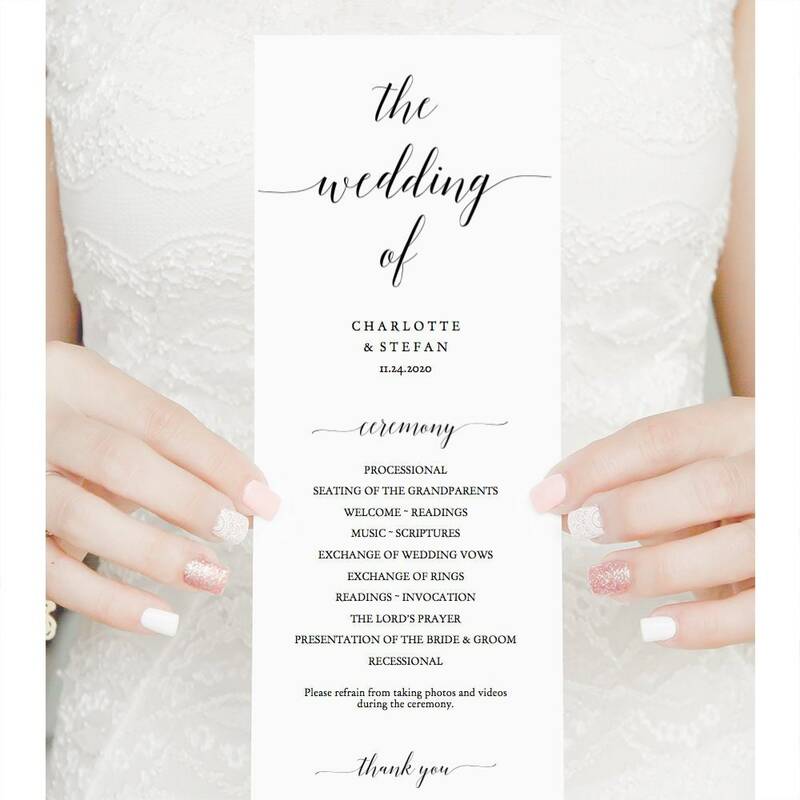 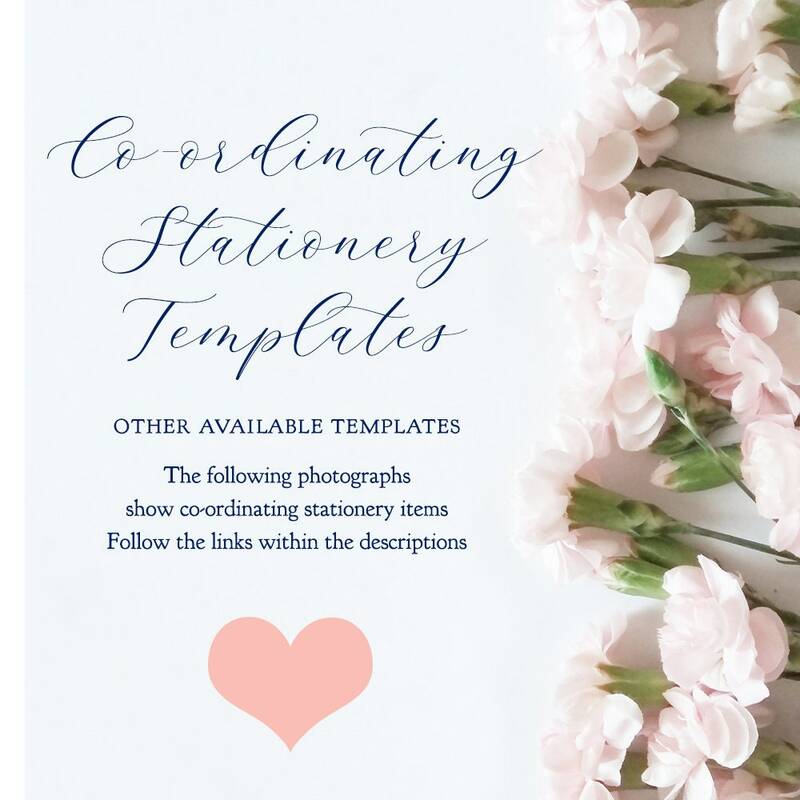 ❤ This listing is for the flat, long wedding programs. 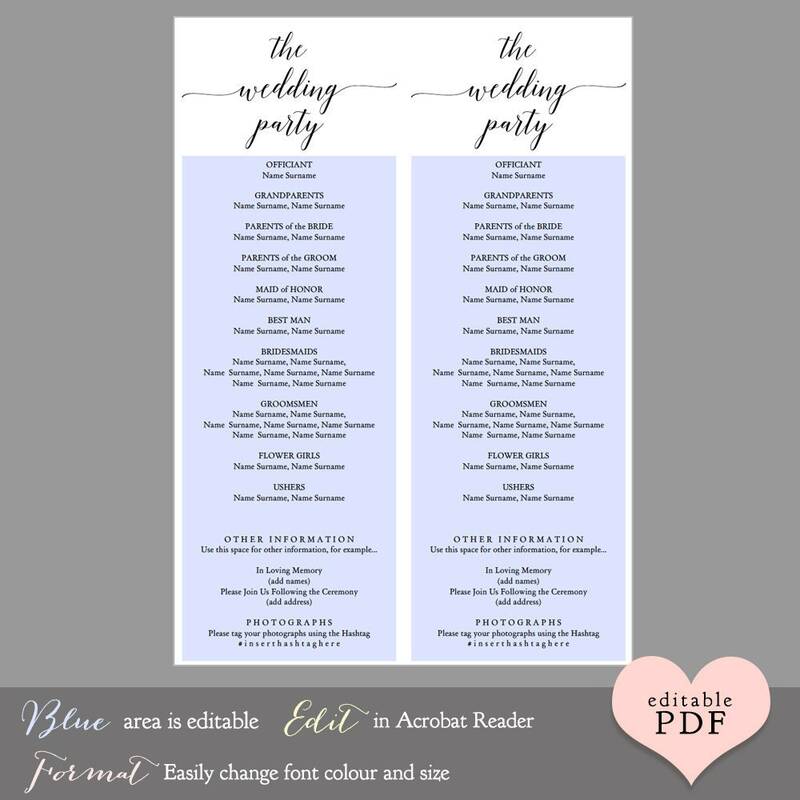 'the wedding of', 'ceremony', 'thank you' and 'the wedding party' are fixed on the page.